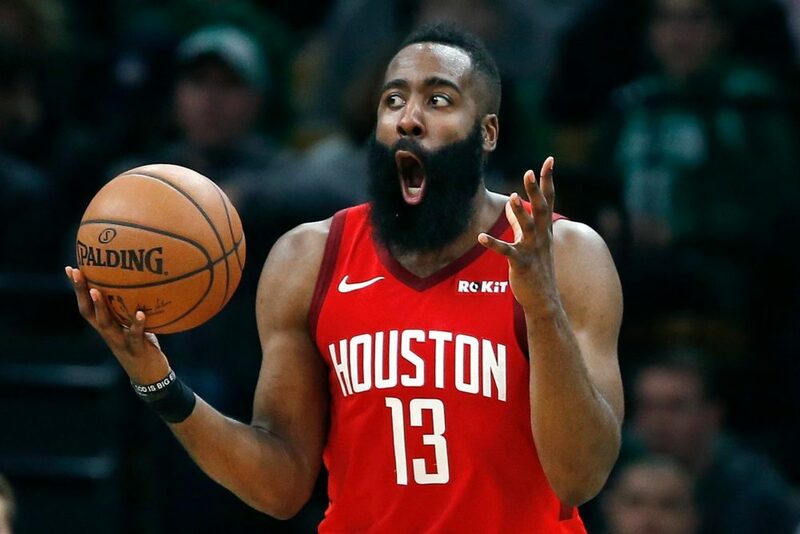 James Harden reacts after being called for a foul in the Rockets’ victory over the Celtics Sunday. James Harden is being, well, James Harden. He’s scored 100 points in the last two games, putting up 58 against Miami on Thursday and 42 more on Sunday against the Celtics, as the Rockets extended their win streak to five games. So, is this what a suddenly healthy and surging Rockets team is supped to look like? Plus, the Houston Cougars had their 33-game home winning streak snapped on Saturday by the University of Central Florida. The loss dropped UH from No. 8 to No. 12 in the latest AP poll. Meanwhile, Coach Kelvin Sampson is among 15 nominees for coach of the year in college basketball. In the audio above, sportswriter Jeff Balke updates us on those and other Houston sports stories.